Writing a real estate business plan can be intimidating. Here are 9 core elements that will take away your fear and make your plan a success. Overview of your business, show its attributes. Describe the type of investments your company makes and the current condition of the local market. Mention personal experience and professional training that would help to make your business a success. It doesn't need to be about real estate, it could be financial or managerial. Describe how your business functions. Tell what makes your company special and unique. What's your competitive edge. Like specializing in beach properties, luxury estates, or 55+ condos. And bullet point your goals for the next years. Include details about the competition. Show how your company will monitor and develop strategies to quickly respond to market changes and opportunities. Give the demographics of your specific buyer or tenants. How large that segment is in your area and if there's enough housing to meet their particular needs. What type of business systems will you use and how much of the daily routines and tasks can your business outsource and automate. Is your company an LLC or a partnership? Include the people involved, their titles, what their roles are in the company and their daily business responsibilities. Include continuing education, customer service and sales training for staff. Give details about the exact types of properties your company invests in and why. How often you turn over an investment and the average capitalization rate. What action are you going to take to get buyers and sellers contacting your company. Include all types of promotions both online and off. Short and long-term sales projections and expenses including both fixed and variable expenses. Profit and loss statements. Current cash flow and at which projected rate it will increase. Plus project funding needs for moving your business forward and expansion. Increase networking and professional connections. And retain the counsel of a business mentor. PRO TIP: The SBA recommends SCORE, its the best Free small business mentoring out there. Get professional advice from successful business owners, and CEOs. They can even help you create your real estate business plan. Its a glorified summary highlighting the main points. for creating your real estate business plan. 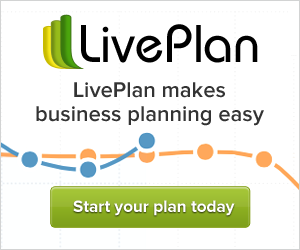 It's easy with the Live Plan software. You can write your business plan in half the time with twice the impact. It's a simple and practical plan that will grow with your business. You'll get a top of the line plan that's expertly tailored for your real estate business. Your company will look impressive. And it's especially valuable if you're seeking funding or business partners.